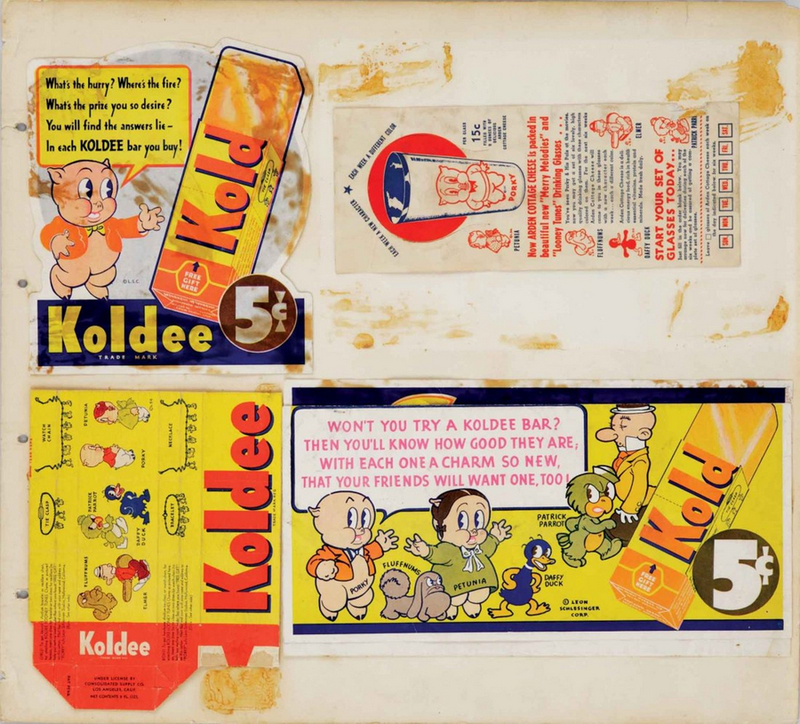 This is an extremely rare page from a publicity notebook featuring wrappers and boxes for an early Looney Tunes promotion with Koldee Ice Cream Bars. The wrappers feature early versions of Porky Pig, Daffy Duck, Egghead and Petunia Pig, as well as rare images of Patrick Parrot and Fluffnums. The overall page measures about 16" x 18" and is in good condition with some discoloration from age and from teh adhesive used to attach the marketing artifacts.